I had a brief insight into his life at his funeral service, where the term ‘A Celebration for the Life of’ was never more appropriate. He was born in Joiners Square, Hanley before moving to Abbey Hulton and worked in Hanley learning his trade as a cobbler before moving opening his shop in our village in 1956. He married Peggy at St Saviour’s in 1957 and they lived a long a happy life at Norton Hall Close where John bred his birds and looked after his dogs. John finally retired in 1999. That is just a tremendous amount of service to our community and one which most modern businesses will never achieve. For me Johnny Morris’ shop was just always there, the smell of the leather and polish and the man himself who must have hands as hard as the leather he repaired but a heart soft and big enough to make him so popular. A dry sense of humour I don’t think he suffered fools gladly and for kids growing up he sold us school bags, had footballs sometimes, had the steel tips for shoes and much more crammed into his shop from floor to ceiling. I remember his apron, his black hands and blackish face from the work he did and also the Volvo estate car that like him seemed to last forever. We don’t seem to get the characters like Mr Morris anymore and I for one will not forget. God bless and Rest in Peace. Our collective condolences to the family but be sure that he was respected throughout the village and will be greatly missed. Below are some of the many kind words from those who remembered him and his wife. Victoria Jones – Arr RIP Mr Morris, you’ll be sadly missed. Paul Stevenson – RIP Mr Morris, I tried many times to buy his Volvo estate from him, lovely man, straight to the point, I always had steel put on my heals as I walked every day to school and got through them quite quickly. I enjoyed a few cups of tea at Mr and Mrs Morris home. 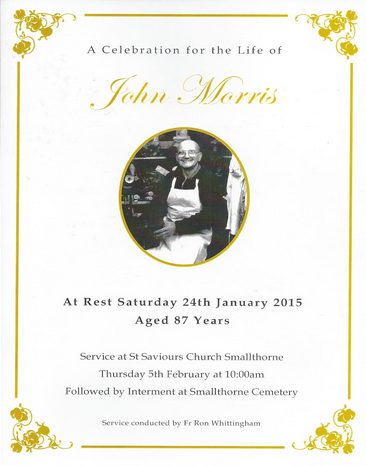 Linda Berrisford – RIP Mr Morris, Mrs Morris was my first teacher at Norton School? Denise Giliker – I saw him about two yrs. ago with his carer at the health centre, and when I walked past him, down the corridor he said that one of my shoes needing heeling …apparently he cud tell by the sound of my shoes !! Amazing .. even though his memory wasn’t good, he still knew about shoes!! Lorraine Kelsall – Mr Morris what a lovely man he repaired many of my school bags and our family shoes. RIP. Robert Sands – Sad news both me and my father used to have our shoes repaired there I bought and sold lots of budgies to Johnny, also spent hours in his aviaries he was a knowledgeable man. Carol Chevin – He fixed a lot of shoes for me so sad.. R.I.P..
Geoff Bradbury – From all the kindly comments on here, it is crystal clear his life was not one that was wasted. Denise Kirkham – RIP Mr Morris, thanks for selling me an odd pair of Wellies because you could find a matching pair! Jane Mountford – Wow, step back in time. Maureen Ellis – Whatever you wanted he could find it if it was in his shop, he seemed to know every inch even if to everyone else it was a jumble of bags shoes and brushes. RIP very nice pleasant man, always waved when he passed me in his Volvo. Stephen Robbins – Oh I’d forgotten all about this shop! Steven Dean – He was a good bloke and a real character. RIP. John Howard – RIP – great bloke, great cobbler. John Holdcroft – RIP Johnny! Paula McDonald – Rest in peace John. Many happy memories. Ivorandjane Stevenson – rip Johnny never forget the smell of your leather boots etc. John Holdcroft – Sold me a nice budgie once! Judith Clements – Rest in Peace Mr Morris. I remember him from when I was a child and I am in my 60’s now. Lovely cobblers shop. Tony Boulton – Sad to hear. RIP. Trish Jenkins Giannitto – Remember the budgies he sold and taking my shoes there to be repaired… He must’ve been getting on a bit…. I’m 60 this year and I remember him well.. RIP…. Michelle Richardson – I remember John, I’ll pass this information on to my mum x A lovely man. Sylvia Tudor – Oh what a shame he was a lovely man, remember him well when he came slacks fruit shop in Burslem every Thursday with Peggy his wife. Jeffrey Lawton – R.I.P Johnny Morris …real character!! Amanda Hancock – RIP Mr Morris, remember buying my jelly shoes and bag from his shop. Sammy Simpson – 1 top fella with a heart of gold & a great sense of humor. R.I.P J.M. Daniel Kelsey – Wow he repaired many pairs of school shoes for me. Sad times. RIP Johnny Morris. Another life lost yet not forgotten. !! Pamela Hobson – Jackson R.I.P Johnny. Sue Leese – I used to get granddads black twist tobacco from the cobbler..
Karen Brailsford Bennett – Very sad. He kept me in my shoes and my first pets. Budgies. RIP. Joan Morris – RIP Johnny. His wife was my first teacher at Norton Primary she was then Miss Johnson I think her parents owned the pet shop just above the Methodist chapel at the bottom of Smallthorne. Steve Gibson – Great innings for a lovely bloke. RIP Mr Morris. Janice Lakin – Sad news RIP Mr Morris. Nora Bean – RIP Mr Morris, very sad news. 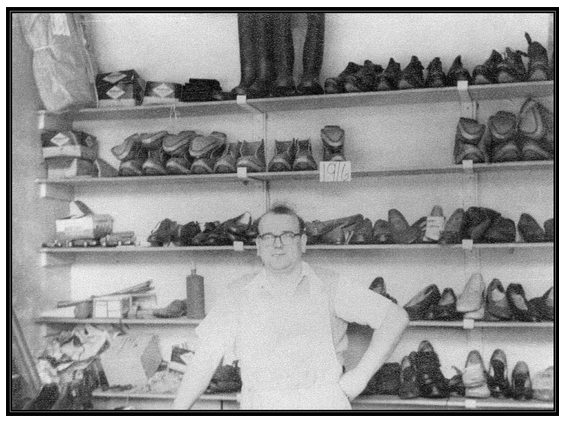 Kath Evans – I remember him so well, I took many pairs of shoes for him to repair, as well as leather bags. No matter what you wanted he could find it, even in his much cluttered shop! R.I.P Johnny. Barbara Dunn – I was in the guides at the church hall , and saw the romance blossom between him and Peggy , he used to work late on Mondays at the shop, that was the night guides took place , I think that was so he could see her, so sad, God Bless John. taking my high heel shoes to him many time R I P.
Lyn Evans Beech – I remember the leather smell and budgies. 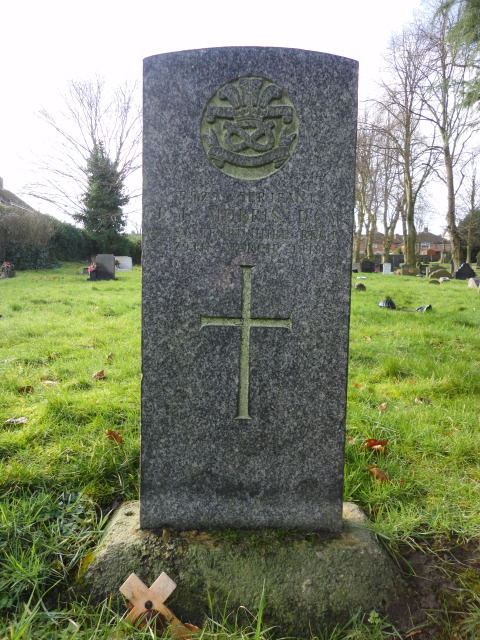 This section is for memorials to the dearly departed of Smallthorne. Get in touch if you would like to have a memorial of someone placed in this section.